Zur Tiefenreinigung und Versiegelung aller glatten Oberflächen im Haushalt. Die behandelten Flächen werden langfristig Schmutz und Fett abweisend, sind leichter zu reinigen und sehen hochwertiger aus. Perfekt wenn’s schneller gehen soll. Renews the nano coating whenever it is necessary. Surfaces treated with Nanotol become dirt and fat repellent in the long-term, are easier to clean and look superior. 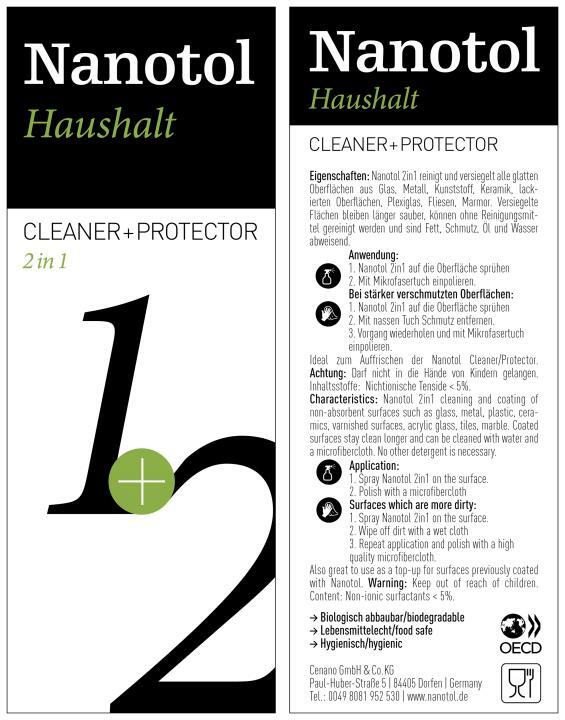 Combination of Nanotol Household Cleaner and Protector (coating). 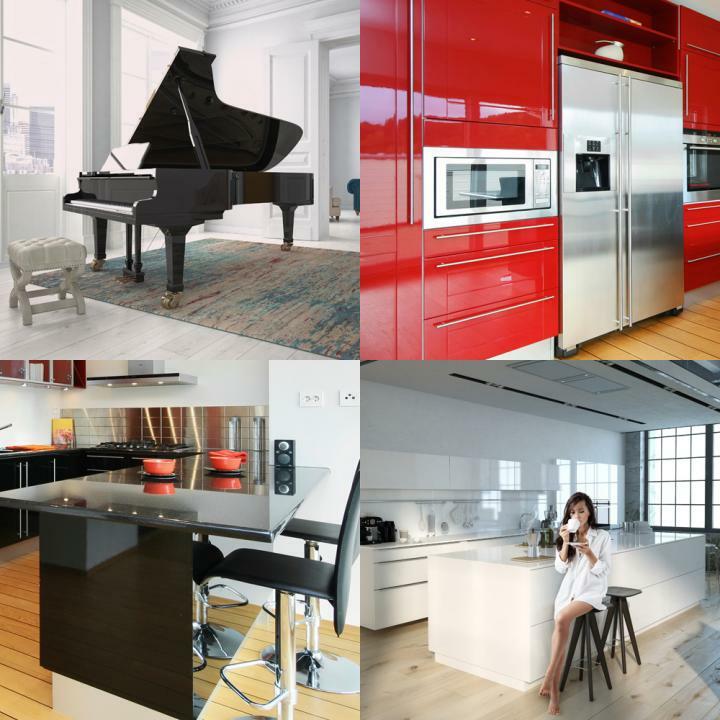 For deep cleaning and sealing all smooth surfaces in the household. 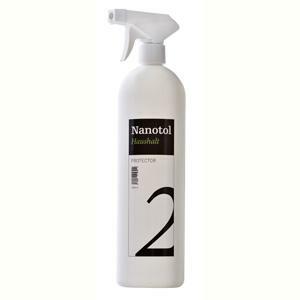 Nanotol 2in1 (deep cleaning and sealing in one step) for the househol. 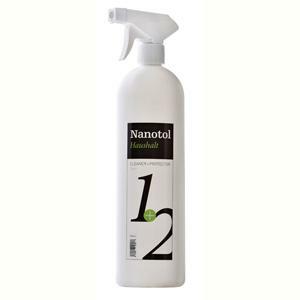 Nanotol Household 2in1 is the perfect combination of Nanotol Household Cleaner and Nanotol Household Protector. After cleaning the surface thoroughly, an invisible nano sealing remains on the surface which repels dirt, fat, oil and water (Nanotol lotus effect). The surface stays clean much longer and it is far easier to clean. This effect lasts several weeks to months, depending on the usage. 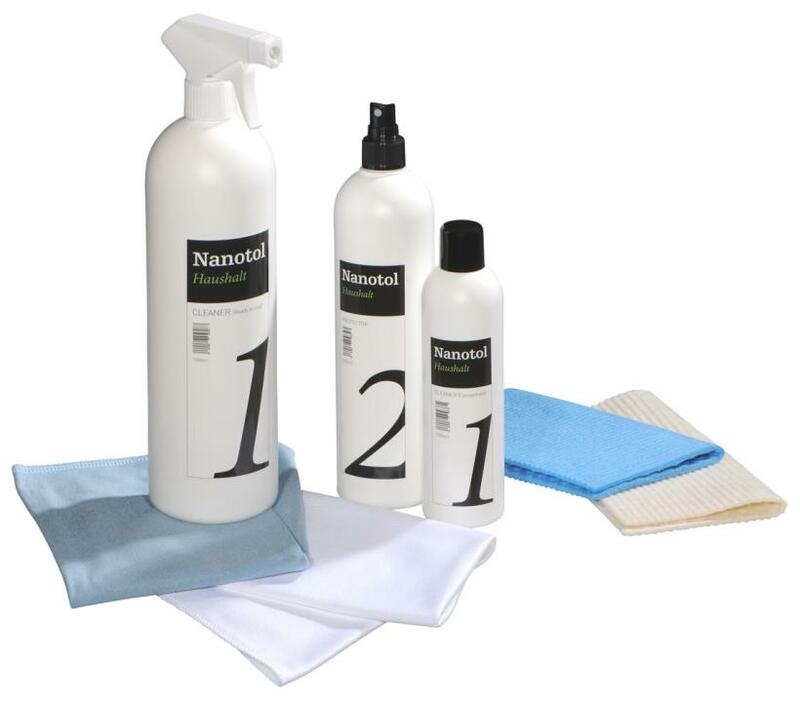 Nanotol 2in1 Cleaner and Protector is very eco-friendly, not only due to minimal product use but especially due to its complete biodegradability. This is proved by numerous tests and certificates. 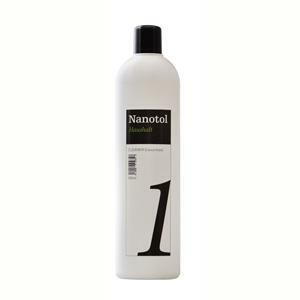 Spray Nanotol 2in1 directly on the surface and remove dirt with a damp cloth. Polish the surface with a high quality microfiber cloth until it shines (nano coating is activated).